Consciousness is the most familiar phenomenon. Yet it is the hardest one to explain. Even today, it is still unclear whether and how consciousness emerges from mere matter or whether consciousness is a fundamental property of matter. The crux of the issue is to decide if consciousness has causal efficacies in the physical world, which is not classical but quantum at the deepest level. If consciousness is fundamental as panpsychism holds, then the fundamental consciousness property should take part in the causal chains of the quantum world and should present itself in our investigation of the world. Is consciousness causally efficient in the quantum world then? How to find the quantum physical effects of consciousness if they indeed exist? This book will propose a promising solution to the hard problem of consciousness by investigating the possible quantum effects of consciousness. Admittedly, it has been a hot topic of debate whether there is a subtle connection between quantum physics and consciousness. 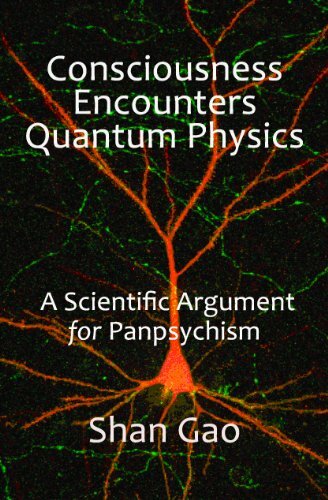 Different from the existing speculations, the analysis of the book is based on the well-accepted assumption that quantum processes such as quantum measurements are objective physical processes, independent of the consciousness of observers. To our great surprise, however, this banal assumption may have profound implications for the nature of consciousness. For it implies that a conscious being can distinguish definite perceptions and their quantum superpositions under certain conditions, while a measuring system without consciousness cannot distinguish such quantum states. The existence of this distinct physical effect of consciousness further implies that consciousness is not emergent but a fundamental feature of the universe. This provides a convincing scientific argument for panpsychism. The main ideas of this book have been published in professional journals such as Minds and Machines, and will soon be introduced in the prestigious Journal of Consciousness Studies. Although the book places priority on the rigor of the scientific arguments, its contents are basically comprehensible to general readers. This little book will appeal to all those who have been looking for a real understanding of the mysterious universe. 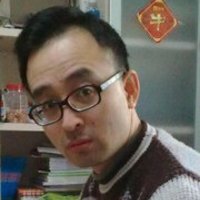 Shan Gao is a theoretical physicist and philosopher of physics at the Institute for the History of Natural Sciences, Chinese Academy of Sciences. He received his Ph.D. in Philosophy of Physics from University of Sydney. His major interests are foundations of quantum mechanics, philosophy of physics, history of modern physics, and philosophy of mind. His original ideas, including random discontinuous motion, quantum superluminal communication and quantum panpsychism, have been published in professional journals such as Foundations of Physics, Studies in History and Philosophy of Modern Physics, Proceedings of the Royal Society A, Minds and Machines, Journal of Consciousness Studies, and so on. He is the author of God Does Play Dice with the Universe, Quantum Physics: From Illusion to Reality, Understanding Quantum Physics: An Advanced Guide for the Perplexed and several other books. His first popular science book Quantum: A Historical and Logical Journey (in Chinese) is very successful, and it has sold more than ten thousands copies in China during the last few years. His new edited book Protective Measurements and Quantum Reality: Toward a New Understanding of Quantum Mechanics will be published in 2014 by Cambridge University Press, and the list of contributors includes Yakir Aharonov et al. For more details please visit http://gucas.academia.edu/ShanGao. 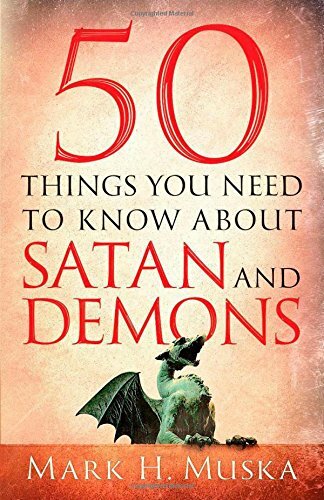 ·	Does Satan really have horns, hoofs, and a tail? ·	Can Satan read our thoughts? ·	What is demon possession? ·	Can anything protect us from demonic attacks? You’ll discover exactly what God’s Word says–as well as what it doesn’t say–about these mysterious beings. Mark H. Muska is Associate Professor of Biblical and Theological Studies at the University of Northwestern St. Paul. Dr. Muska received his EdD from St. Mary’s University and his ThM from Dallas Theological Seminary. He is a regular guest on “Ask the Professor,” fielding live calls from listeners on the KTIS AM Connecting Faith program. He lives with his family near St. Paul, Minnesota. Alzheimer’s disease genes and several other neurological disease genes including that responsible for Wilson’s disease. As leader of the Alzheimer’s Genome Project, Dr. Tanzi has identified many other genes for the common late-onset form of AD. Dr. Tanzi serves on dozens of editorial and scientific advisory boards, and as Chair of the Cure Alzheimer’s Fund Research Consortium. He has received numerous awards, including the two highest awards for Alzheimer’s disease research: The Metropolitan Life Award and The Potamkin Prize.